It’s been two years since I hosted my first in-home tea party. I look back on the experience with a wry smile, remembering some of the mistakes I made and what I’ve learned since then. Maybe you’ll be able to relate to some of these, whether planning for a tea party or other kind of event. I need to communicate exactly what I want when I delegate. I asked my friend to do the baking. 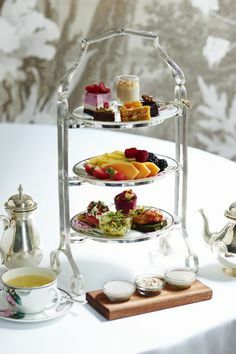 I assumed since we’d been to a tearoom, she understood how a three-tier looked. She assumed there’s never enough food and made a TON of baked goods. I think we had 3-4 different kinds of scones, 2 kinds of muffins, 2 kinds of quick breads, and a large assortment of cookies. I wish I had a picture. We laugh about it now. But I bit my tongue as I watched her stack all her baked goods two-three deep on top of the entire plate. And the women we sat them down in front of were a little taken aback. Not that they knew MUCH different, as tea party novices themselves, but those who watch their diet were a little shocked. I needed to explain exactly what I expected and not assume anything. Note: This can be hard between friends, especially with some female personalities, but so important for us to work together. Volunteer NOTHING to get a guest to come. One of the women I invited hesitated because she would be coming straight from somewhere else during the lunch hour. “Come any way! There will be plenty of food!” I said. “I’ll sneak you a sandwich as soon as you get here.” Well, of course I forgot. And we all know how preoccupied we are when we’re doing something for the first time. So when she walked in (early) and asked for a sandwich, it threw me. And the ironic thing is this guest also couldn’t sit where I’d placed her. AND she needed some hand lotion. The lesson I learned is that if I commit to accommodating a needy guest I will end up accommodating a needy guest. Surprise! Use fresh ingredients. I used canned chicken with dried parsley to garnish it with. What was I thinking? I was thinking of many traditional stereotypes of the tea parties of my grandmother and looking for shortcuts. Now I realize food shortcuts don’t have to mean compromise. Be sure to check out my article, “The Lazy Baker’s Guide Way to Plan a Tea Party Menu” for more ideas. Plan for the goop. I served a full afternoon tea, which meant soup, salad, and quiche for the first-course. But I didn’t have a second plate for the three-tier filled with sandwiches, scones, and desserts. And my pinwheel sandwiches were a little drippy. A fresh plate would have helped alleviate some of the guests’ mess. It’s difficult to rent the right linens for the job. Another shortcut I attempted. But most basic linen rentals rent the easy-to-clean polyester tablecloths and LARGE polyester napkins. They can make your tea party feel more like a hotel banquet. So how about you? What did you learn from your first hosting experience? I haven’t hosted my own party yet, though I am getting more and more motivated by you each time I read. 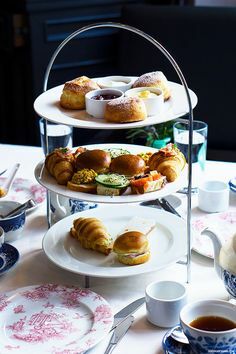 Though I think I just learned to start out small and simple the first time serving a high tea (I think that’s the correct term) with 4 guests max. One of the things I learned from my first few tea experiences was to “fit the tea” with the tea strainer. I had served a loose leaf wild raspberry tea. I placed the beautiful tea strainer over the teacup and when I removed the strainer there were things floating in the cup. How embarrasing! My guests drank their tea without a complaint. But I’ll never forget the small green leaf on the lip of my guests after she drank her tea. Later I found a solid gold mesh tea strainer. It works perfectly with the herbal teas! 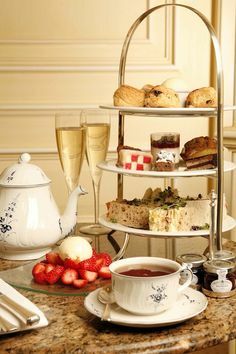 I think the best thing to do is just to begin, and with every tea party, you will know better what to do the next time. 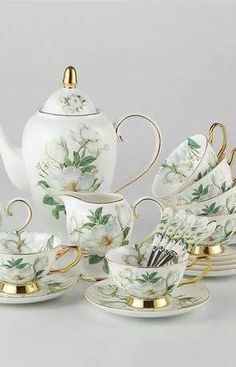 I would hate to think that the fear of not being able to obtain perfection would prevent any lady from hosting her first tea party. Looking back, my Christmas Tea Party did look more like a hotel banquet than anything else. Still, everyone had a great time, and in the end, that is what matters most to me. I agree, Ms. Rita! Just begin. Experience is definitely the best teacher. And anyone serving 50 guests by herself should go right ahead and use linens that at least don’t have to be ironed, for sure! I’m enjoying this site,very helpful. I just started this month on tea parties. I have decided to go word of mouth till I can get the feel of it. Wow, it keeps you busy but ladies are so polite. Thank you for sharing. I’m getting nervous about upcoming Tea Party. I have a committe of 6..been busy! It is in our community Clubhouse…70 are coming!!!! So…I have had to change the way I have done teas in my home. We are using plastic table covers..yuck..no candles allowed..its been tough..but using lace plastic overlay and real flowers helps! Great food planned, nice favors..good response peoples first time..so keep me in your thoughts. Thanks..the web site helps!! I am getting ready to organize a tea party for our Church ladies (about 80 of them). Our budget is small but I would like to think of some kind of inexpensive favor for each guest. This is my third year of planning the tea and I sure look forward to it every time.